Sign up for the subscription a couple of days before your arrival. The sign up page will ask for a Canadian address. Use your hotel address. You'll receive an email confirming subscription and if the email says that they are going to mail the BIXI key to the address, then call the BIXI customer service center and tell them not to send the key and that you'll pick up the key personally. BIXI key instructions has a picture and instructions on using the key - ready to ride! In addition to the key, it is quite critical to have a smartphone with a data plan since the BIXI phone app is critical to have. Many times you'll find docks full or no bikes at docks so having an app to quickly see all nearby BIXI stations with available bikes or free docks on a map is essential. Ovarium Spa is an interesting, unique experience. They have one-person private enclosed bath pods which are filled with so much Epsom salts that the human body floats in it! The first half-hour felt odd floating around and trying various positions, but then it feels good and time goes by too fast and it is all over. The place is very nice. Very high ceiling waiting areas with high-quality decor and surroundings. And quite full even on a weekday, so must be popular in Montreal. Floating in salty water does require some preparation. There must be no cuts or wounds on your skin - otherwise the salt water will sting! Even scratched dry skin without visible marks will end up stinging a bit in the water. They do offer Vaseline for minor scratches which may be of some help. When floating around must be careful not to touch your eyes with your fingers since there will be too much salt on your fingers. And when inside the pod, it is much nicer with the pod lights and the music turned off. Leave the room lights on and just close the pod door for a completely enclosed experience. The Ovarium Spa web site is in both English and French. The Montreal Metro system includes the subway trains and road buses. These offer excellent ways to explore the city of Montreal. STM home page has fares and routes and schedules information. Exploring Montreal is quite easy using the metro system. The subway trains are good to go someplace fast, and then take a bus to enjoy the street views without exerting much energy. Then, come back to visit the places and restaurants that look interesting. Astonishingly, the buses manage to keep close to the published schedule. Never seen this happen in any other major city! Some routes at peak hours do miss schedules, given the traffic congestion. Though most times you can depend on the schedule. And there are many smartphone apps that provide schedule information. Here's a good Android app: Transport Montreal by Rhatec. It works offline too, and is indispensable when waiting for some of the less frequent routes. Fares: Buy the 24hr-from-first-use (aka 1-day), or 3-day (expires midnight 3rd day), or CAM Hebdo Weekly (Mon-Sun validity) pass, for easy travel without worrying about transfers or counting tickets. 15 east: Travels along Ste Catherine St, the main tourist hot-spot in Montreal. Board at the starting point which is the Atwater Metro station, and disembark at the final stop at the Papineau metro. 55 north: Goes along St Laurent, another important street. Take this from Chinatown, near St Laurent Metro, or a bit more south on St Laurent St, and go north in the bus. This year was the 33rd edition of the festival and it ran from Jun 28 through July 7. They had 800+ concerts, 600+ activity/animation areas around the festival! 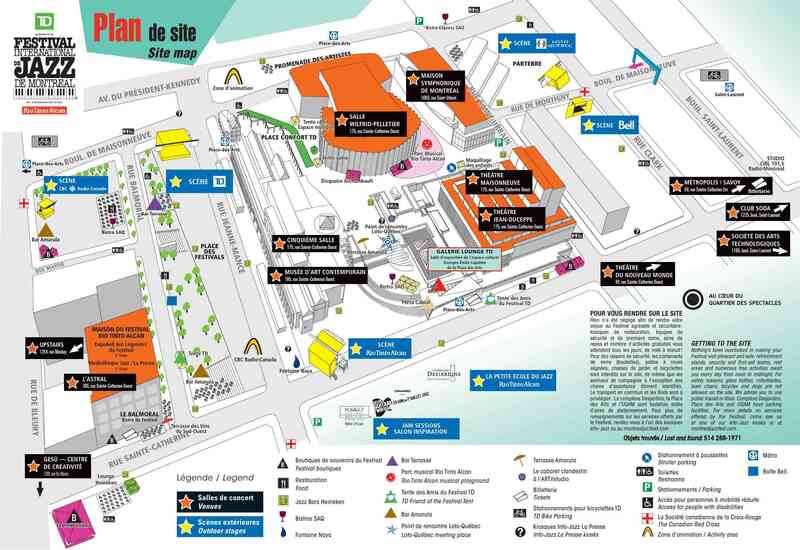 For general festival details and tips, visit this local page: Montreal Jazz Festival. Chromeo Event closing performance (Clip 1) Electronica rules! Official video clips of most of the music shows: All Videos (though not sure how long they will keep the official site up). Held in the middle of summer around the first week of July, this 10 day festival is lot of fun and everyone can enjoy it - from families on vacations to solo travelers. The city of Montreal is a large part of why this is so much fun of course - great city, nice people (but all Canadians are nice! ), and lot of interesting food. Visit for as many days as you can. 5 days seems like a good minimum. Try to be there for one of the two or three special event concerts which are held on the first day, the last day, and in the middle of the festival duration. Roughly figure out what shows you want to see. Go to the first one, and then move around if you wish - multiple shows going on. Explore all areas of the festival. Watch a repeat performance if you liked the band. Discover new music, and new sounds, all of which is chosen to get the crowd going. While standing close to the stage is always a good spot, you can also enjoy the show from further off - just make sure you can see the people on the stage. Don't get too close for the special events though - it can get claustrophobic - for special events, they have big screens in the back, so can safely enjoy it from afar. The fun is in watching the musicians play, and watching the people in the audience go all crazy and gyrate and move to the music. Participate - at least tap your foot and shake your noggin! For old folks like me, this is back-breaking business - my back certainly can't take standing for more than one hour, and each performance here is 60 minutes, with 90 minutes each for the three special shows. Some people bring portable tripod-based seats. But usually easy to just sit on the ground. For taking good photos or videos, bring a tripod or a monopod. List of all my favorite restaurants and food markets in Montreal. Some of these are described in more detail in the links. Photos are available in the Montreal Photo Gallery. A map showing locations of all these restaurants is in the Montreal Restaurants Map posting. 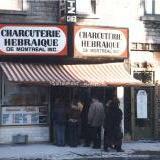 Schwartz's Deli 3895 St-Laurent Blvd, 514-842-4813. 7070 Henri-Julien St., south of Jean-Talon St., near the metro stop for Jean-Talon. 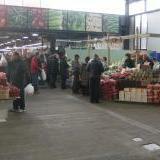 Jean-Talon Market bustles with activity in summer certainly and winter too. It is truly a fantastic market - all fresh vegetables, fruits you need, as well as bakeries, food stalls (bison sausage anyone), maybe the best calamari you can have (at Aqua Mare). And cheese too - inside the market, as well as at La Fromagerie Hamel close by at 202 Jean-Talon St. East. On your first day at Montreal, get down here, get yourself a supply of fruits, continue to replenish every few days. And then to eat you have crepes, fish, pastries, cheeses, and so on. Just outside the market is Marché des saveurs du Québec selling local products, at 280 Place du marché du nord, on a side street. Short takes and tips for travelers to Montreal. Tourist Offices The main tourist office is located near Peel and Ste-Catherine at 1001, rue du square Dorchester - this is a good place to begin your trip, get the free tourist guides and Centre-Ville (downtown) maps.. The official city web site is at Ville de Montréal and it has a Discovering Montreal section with excellent maps. Getting in the mood Not that anyone should need any help getting in the Montreal mood - but here's Arianne Moffatt's song Montreal - it is in French - Je rentre à Montréal ... Je reviens à Montréal ... I understand it says I return to Montreal ... I'm coming back to Montreal ... great music even if the words are all foreign! More tips for travelers to Montreal in the following sub-sections of this chapter. If you are sure of the days you are going to stay in Montréal and are OK with non-refundable advance payments and are booking a week or more in advance (so as to get in multiple offers over multiple days), try Priceline -- amazing deals are possible -- pay 40-60% of the prices normally charged at the hotel web sites, in some cases. Good discussion boards for Priceline include BiddingForTravel.com (search for Montréal) and BetterBidding (search for Canada). If Priceline does not work out, Hotwire hotels section is also worth a check. Note that both Hotwire and Priceline do not display hotel name until after you pay for it, and only a single double-bed is guaranteed though you can request options and sometimes the hotel will honor them. Montréal is a completely safe city to visit. Downtown is incredibly safe at all times, only danger on streets late at night is drunk American students screaming on the streets or puking in the corner! It is a large city, therefore there are somewhat significant numbers of pan-handlers that one may encounter. 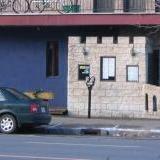 Finally, when exploring the city, there may also be an encounter with a narrow-minded Quebec or French supporter -- I have been shouted at for not knowing French by a bum out in Ahuntsic borough. And then had a interesting encounter with a well-dressed woman in the nice area near Ave Parc and Laurier who took my help in loading her car with her unwieldy package of food and wine but insisted on speaking French in a condescending manner even when I said I don't speak French, and never saying thanks either in French or English! Then there was an incident in the metro late at night where one guy shouted obscenities in English inter-mixed with the word "immigrant" (I do look like an immigrant, of course but am a tourist here!) - I never felt in danger, and ignoring such people usually works. These are rare incidents, and I am only listing them here to point out that Montréal is a large city and they have a few whose insecurities may lead them to cause some discomfort to travelers or new-comers who look different or speak a different language. But to repeat, this is a very safe city for tourists, and while downtown is incredibly safe, outer boroughs are also safe and worth exploring. Getting Around: Montreal has an excellent métro (subway) and bus system. Visit the STM site - Tariffs for details on tickets. For three consecutive days, the 3-day pass is good deal. 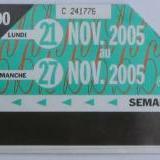 For tourists visiting for a week and starting on Monday, the CAM hebdo - a weekly commuter pass is a good deal. Other useful passes including a evening pass starting at 6PM and a Fri-Sun weekend pass. On the tickets subway to bus transfer or vice-versa is free to continue a journey, remember to hold on to your ticket for the entire ride. More details on the Metro at the STM Metro and Bus official web site. And pictures and more details on the new OPUS card also available in the albums section (click on image shown). Be sure to read the How it works section on the Bixi page carefully, especially the part about how to return the bike. The bike has to be firmly inserted into the dock, and it may fail sometimes and the led light turns red. Do not leave - remove the bike and insert it again until the led is green! If this fails, note down the number at the Bixi web site and call, otherwise you will be responsible for a lost bike.